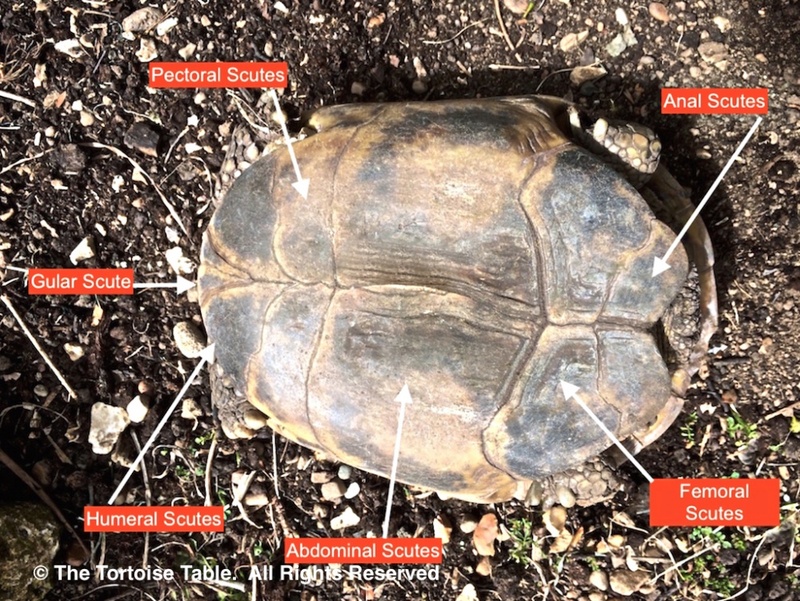 How do you know that your tortoise is healthy? Spend time observing the tortoise so that you get to know its behaviour and look for external clues which might indicate something is not right. If the tortoise’s body temperature is warm enough then it will be able to move about fairly quickly. 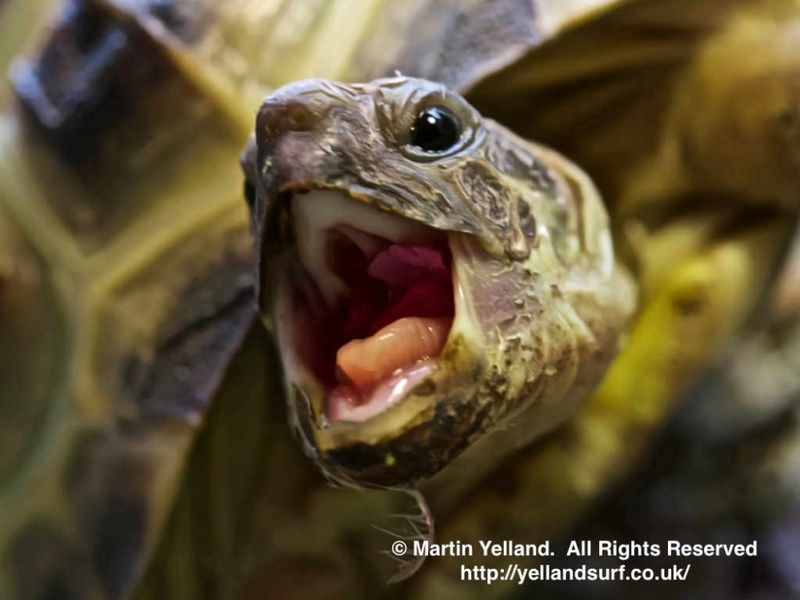 A healthy tortoise should be active and walk with the bottom of the shell (the plastron) clear of the ground. The tortoise should be able to move objects out of the way and try to squeeze through the smallest of gaps. It will dig and climb and it should have good muscle tone in all limbs. The top of the shell (the carapace) should be smooth, feel firm to touch and have no obvious bumps or signs of injury. 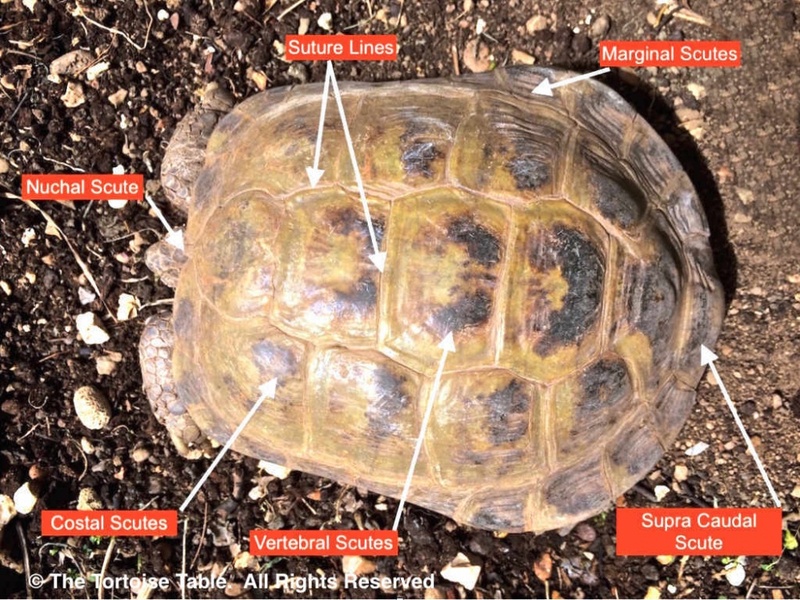 A healthy tortoise will have signs of a growth ring, which appears as a palish band in between the bony plates (scutes) and above the lower, marginal scutes. When holding a tortoise it should feel solid rather than light. The eyes of the tortoise should be clear and bright and there should be no sign of discharge. The third eyelid, which is in the corner of the eye, should only just be visible and the eyes should be wide open. 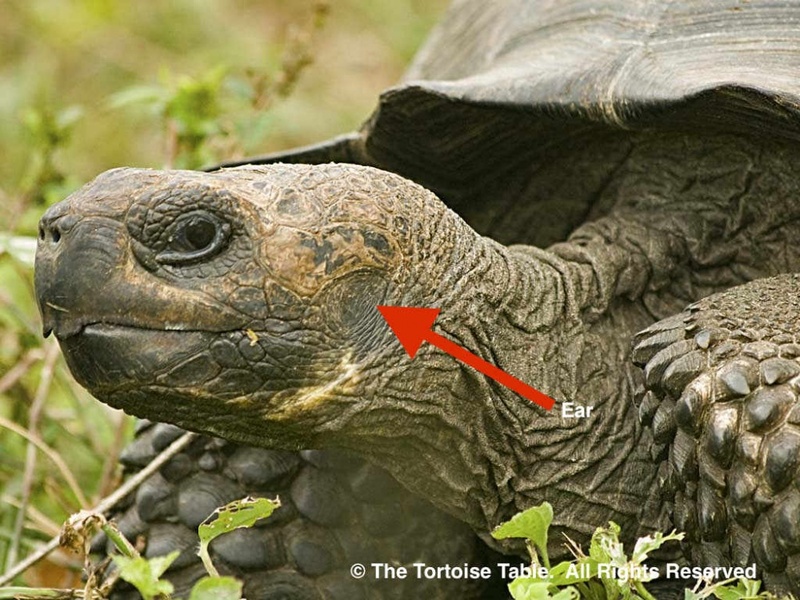 The tortoise's nostrils (nares) should be clear and dry with no sign of discharge. Occasionally, after eating succulent type foods the liquid produced can transfer from the back of the mouth and out through the nares giving the appearance of a runny nose. The tortoise has a keen sense of smell which is used for identifying food. The tongue should be clear and pink, if not stained by food from a recent meal. The bite should be strong, despite the tortoise not having teeth. The beak should not look overgrown and there should be a slight overbite of the top beak. The ears are located at the side of the head, just behind the jawline and the eye. They are covered by skin and have the appearance of a round dark scale, which should be flat or concave. The tortoise should be aware of your approach as it can hear the low-frequency vibrations made by your footsteps. There should be no sign of obvious injury, nor should there be ticks or mites present. 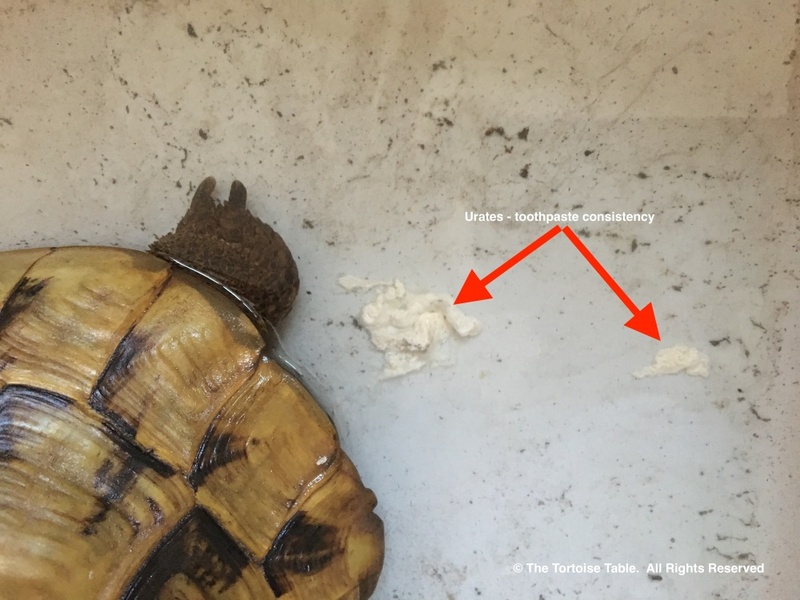 As the tortoise grows it will shed its skin, especially around the neck area, in small pieces and this is normal and should not be pulled off. The tail of the tortoise should be clean and dry and not soiled with faeces. The faeces should be relatively firm, dry, well formed and not loose or watery. Urine should be clear and urates -- although some plants, like dandelions, can cause it to turn temporarily pink. 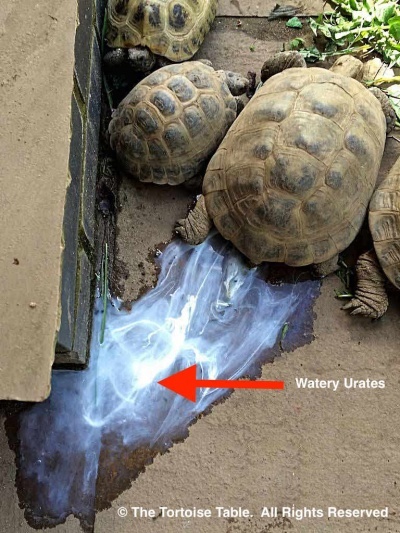 Urates (white material excreted with urine) should range from being watery like egg whites to being soft like toothpaste and should not be hard or gritty.